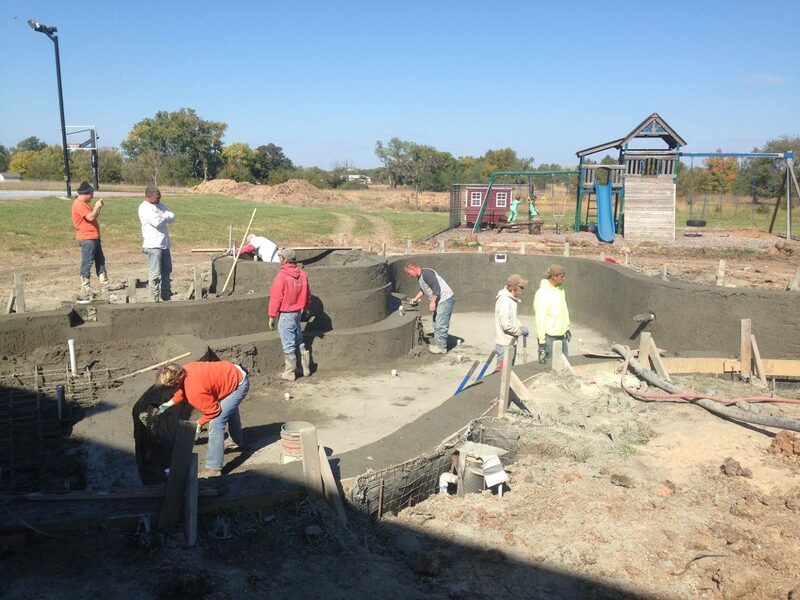 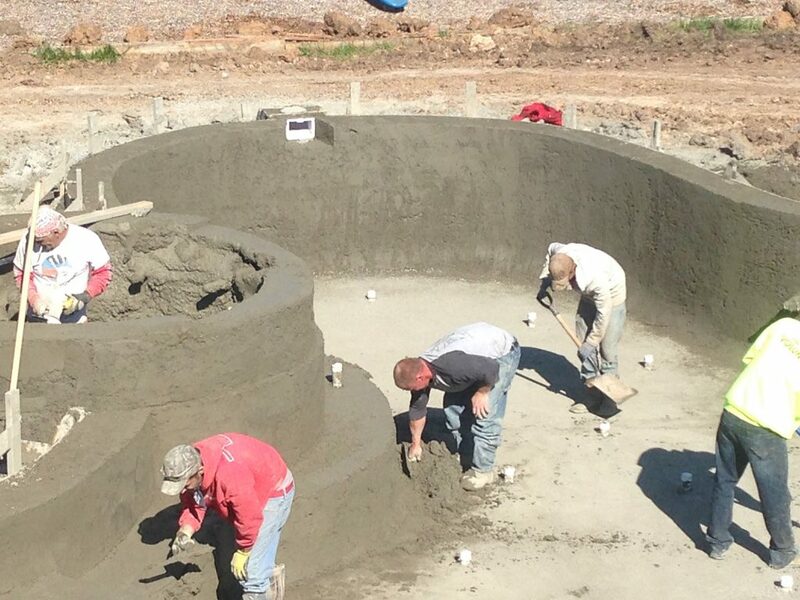 Gunite, constructed with steel and concrete, is the shining star of in-ground pools. 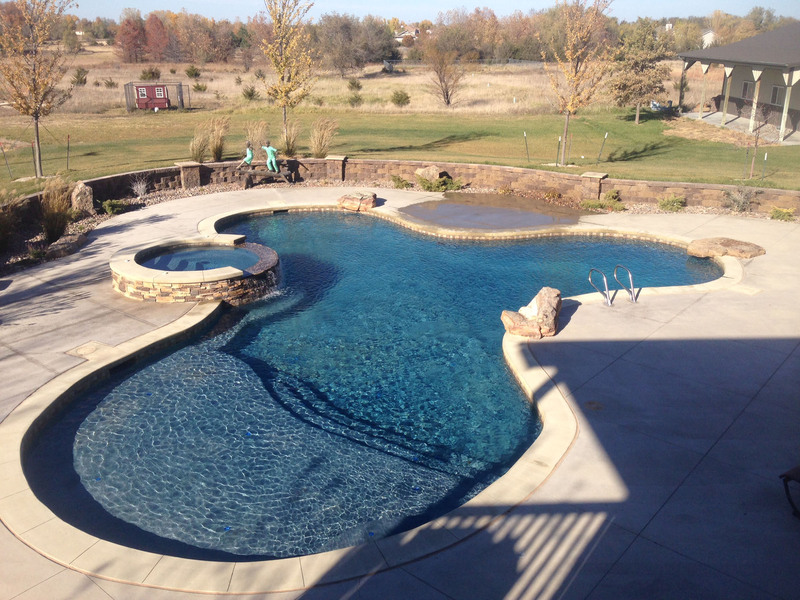 It curves and bends in ways unattainable with other pool systems, allowing for pool/spa combinations – the best of both worlds. 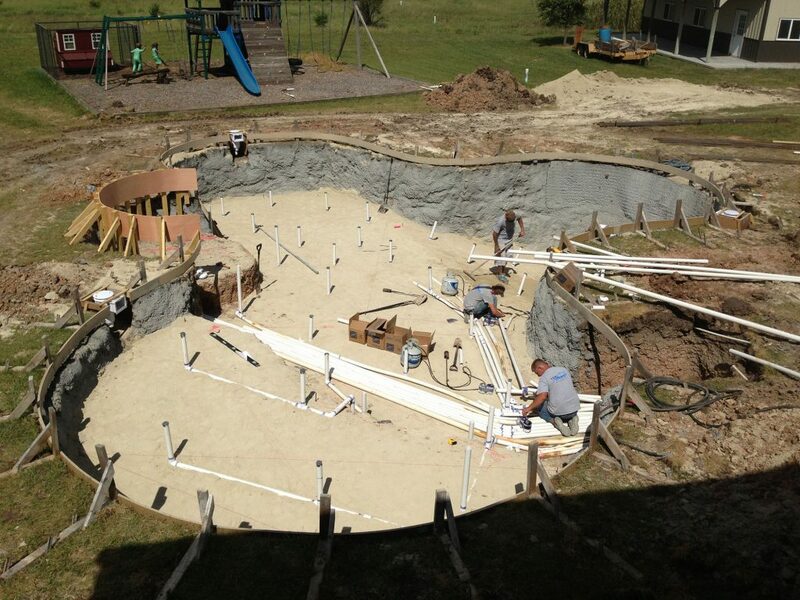 Enjoy a beautiful pool while maintaining the elegance of an accompanying spa or water feature. 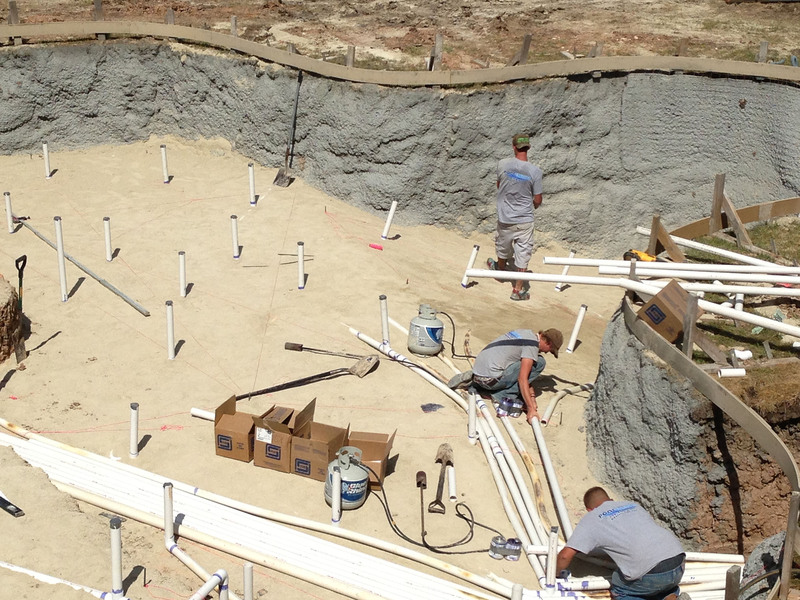 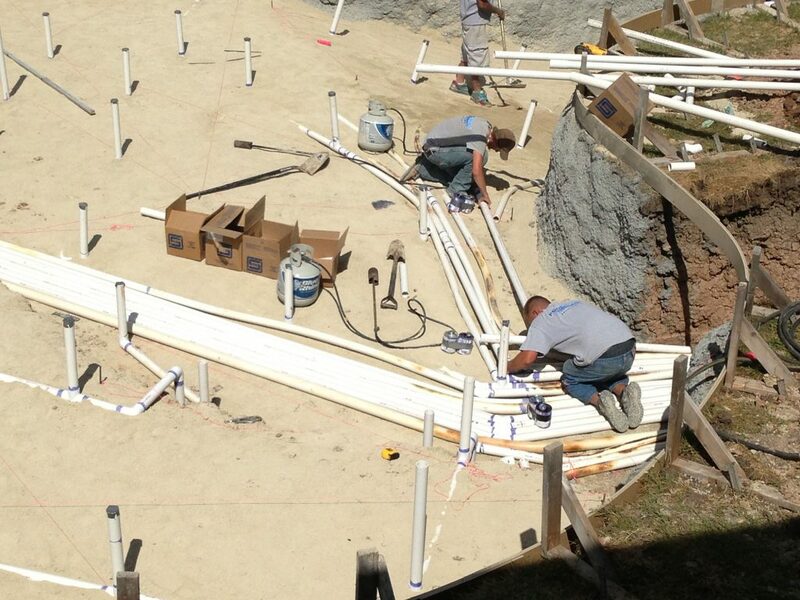 You gunite pool/spa isn’t complete without these convenient and elegant features. 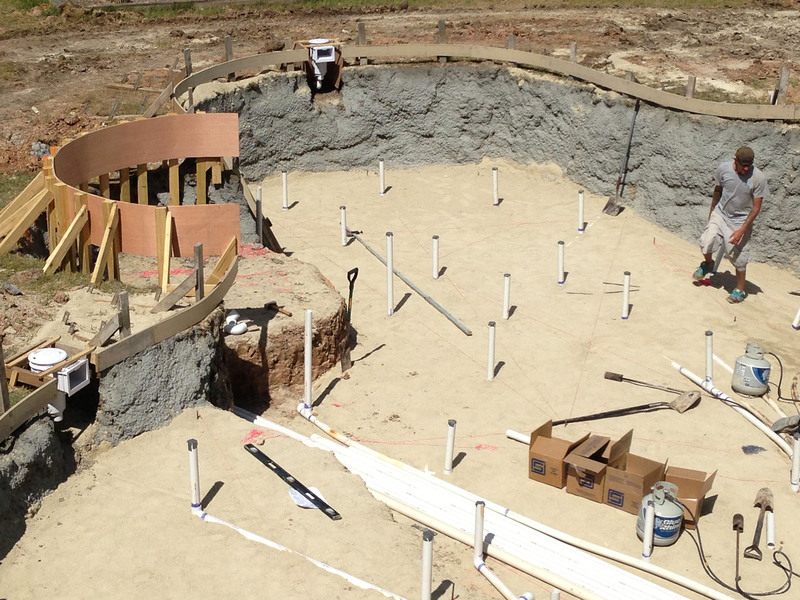 A spillover spa creates continuity between the two main elements, while a raised wall creates visual interest and distinction. 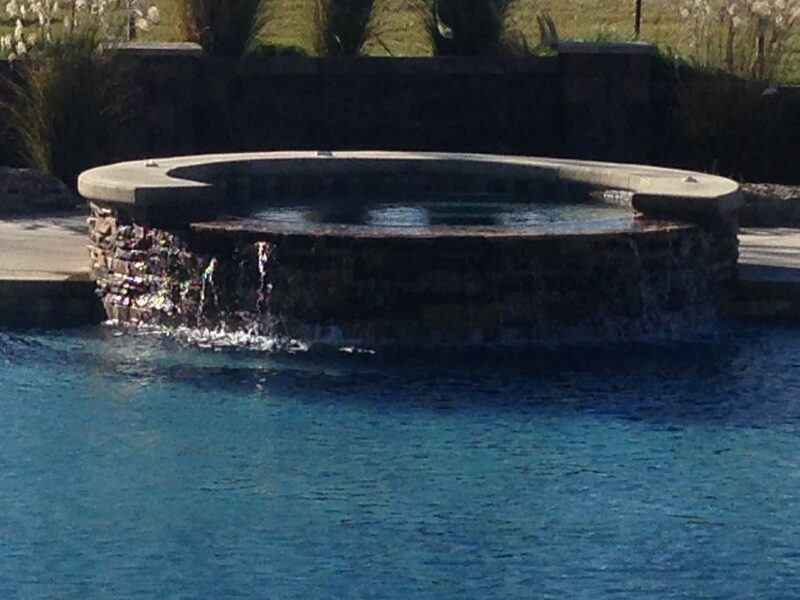 A water feature adds to the distinctive beauty and sets your pool area apart. 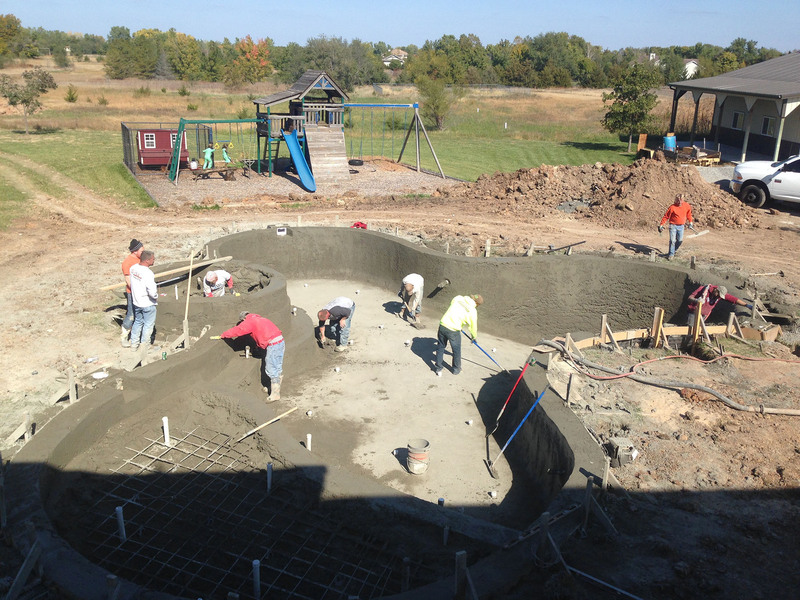 Also known as a Baja shelf, this shallow section of a pool functions as a second, oversized step into deeper water where kids and adults can relax and play. 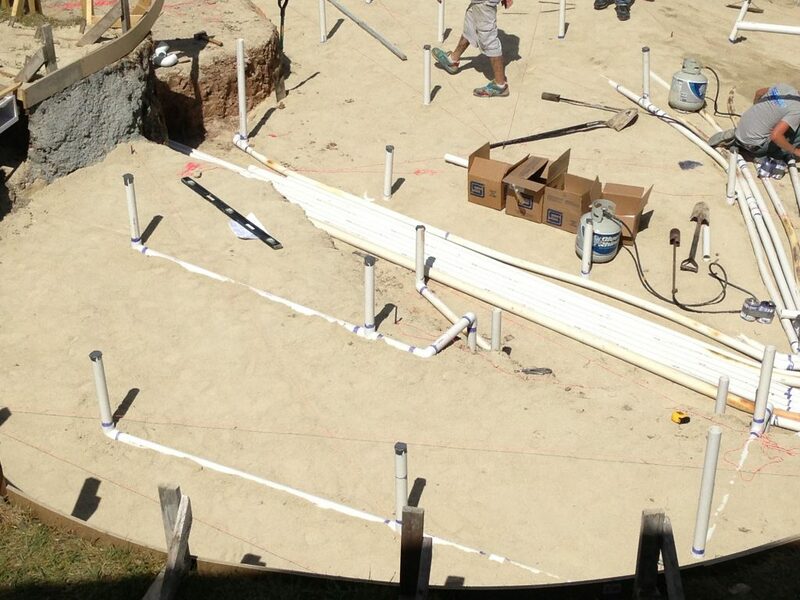 It’s a perfect location to wade or even set up a beach chair. Coping, the capping or covering along the edge of your pool wall, is key for both luxury and lounging. 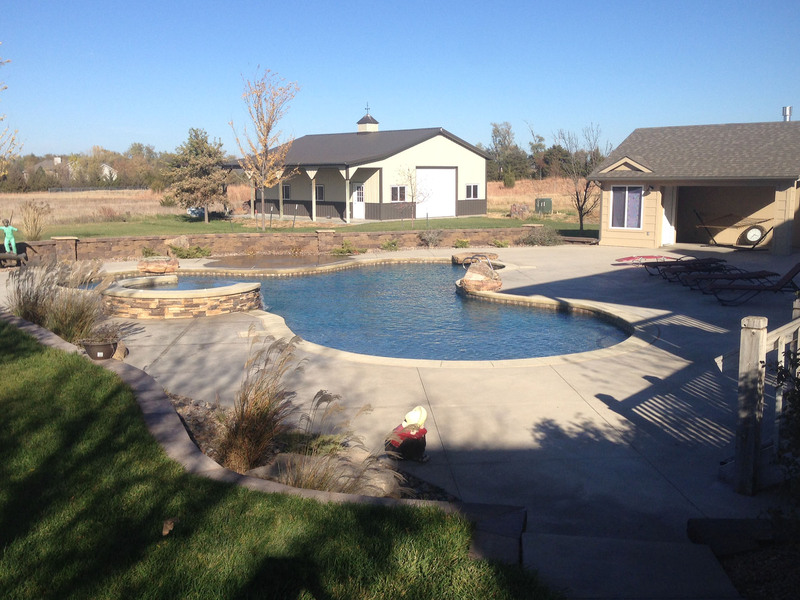 Colored coping is a beautiful finishing touch for your pool, adding distinction and allowing the pool to blend in with its surroundings. 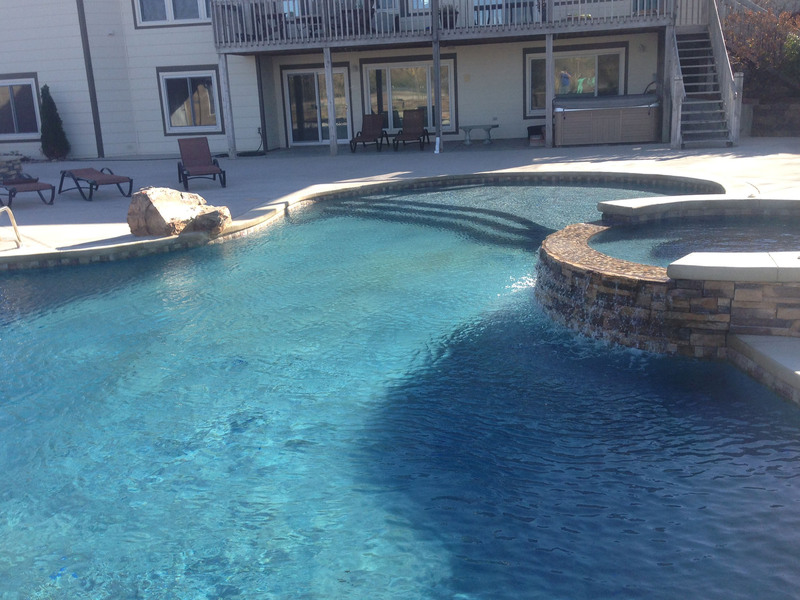 Choose a hue the will complement your home, landscape and other pool elements. 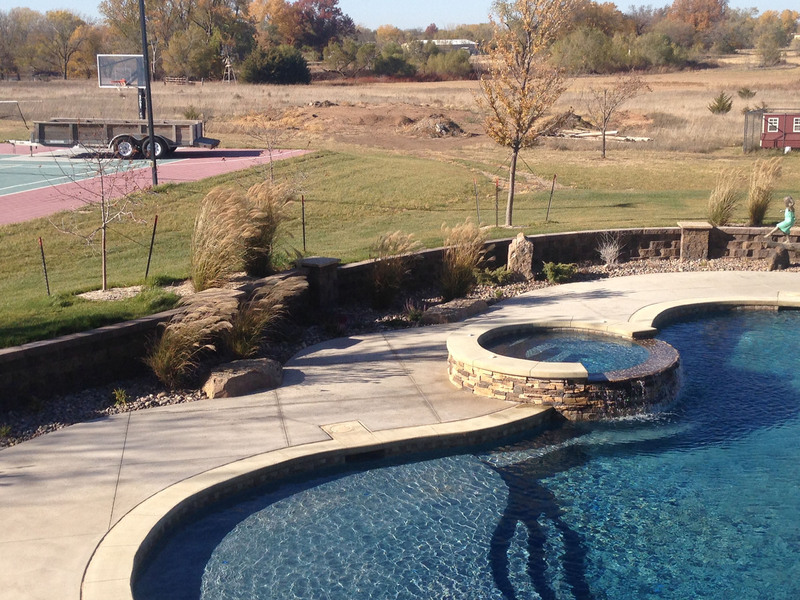 Enhance your pool landscape with a custom stone veneer for your terrace or pool deck. 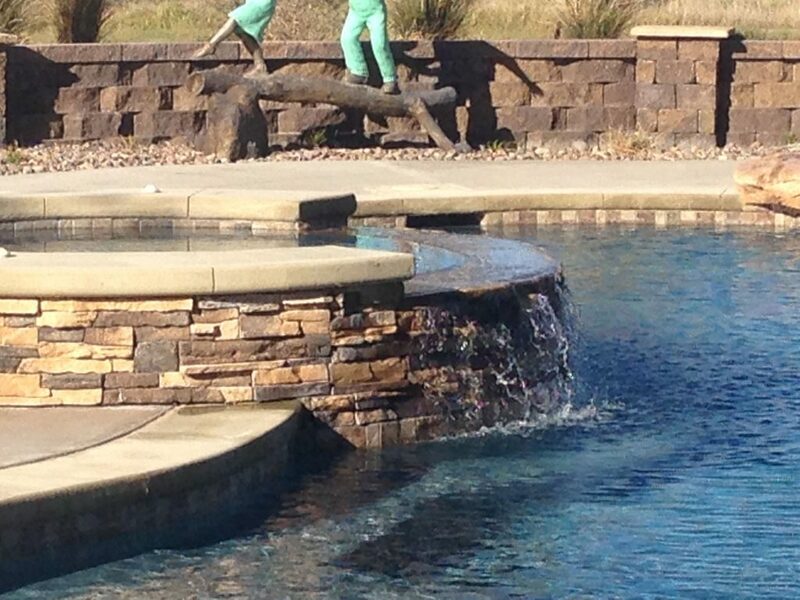 Accenting your outdoor haven with natural stone creates a stunning personal oasis for you and your family to enjoy.